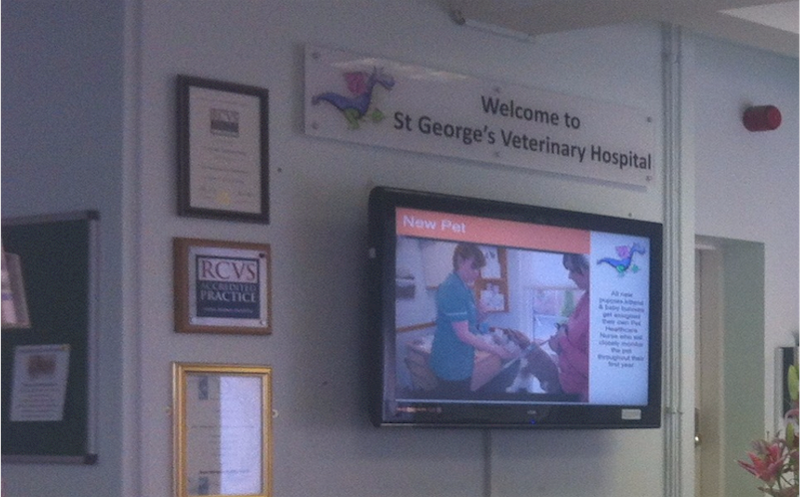 St. George's Veterinary Group wanted a digital signage solution for their Wolverhampton hospital but decided it might be too hard and complicated to undertake the task themselves, so they called in a professional company. They took out a three year rolling contract with them at a cost £13,000. For this they received four large format screens in the surgery, installed in the suspended ceiling and the actual software runs online. "To update the details is a bit of a rigmarole", revealed St. George's Managing Director, John Goulding. At the end of the three year contract the veterinary surgery either have to commit to a further £13,000 three year contract, otherwise they lose the use of the screens, mounts and software. 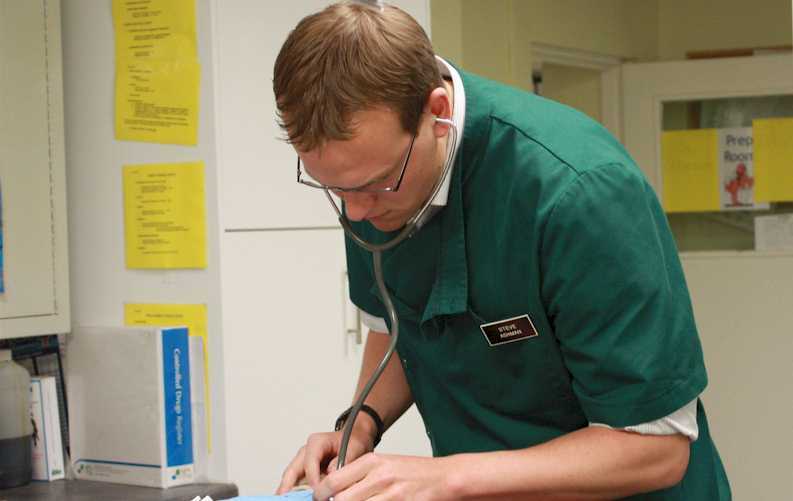 Whilst reading the veterinary press, John saw a link to Repeat Signage digital signage software. Deciding to trial it, he was impressed so far but when he tried to use a Rich Text Document (RTF) document, it wouldn't work on his old XP SP3 machine. He emailed Repeat Software Ltd., asking for advice and their software engineer called him to talk through the software and cure his problem. John was surprised when he was thanked for helping them and given a free Repeat Signage software licence worth £225+VAT. John promptly set up a computer in his office and couldn't believe how easy it was to use Repeat Signage and couldn't understand why he'd ever decided to approach another company to handle the project for him in the first place. John planned to end the three year contract as quickly as he can and purchase 4 display screens and roll out Repeat Signage across his four group practices.